Astroneer is a space adventure video game developed by System Era Softworks for PC and Xbox One. In the game, you will find yourself in a colorful galaxy that is equipped with colorful planets. Your task is to explore the worlds as a cute astronaut with a big head in order to bring mankind back to new wealth. In doing so, you build a foundation with industrial facilities and deal with resources. You can also use the resources to craze tools, modules, or vehicles to get to the center of the earth. You have the opportunity to completely reconfigure the terrain, melt away rocks and build bridges over abysses. The environment is generated procedurally. You can also play in a co-op mode with up to four players. The whole world was created with a unique rendered voxel engine, which has a aesthetic textures. This makes it possible for the players to deform the terrain and shape it as they like - just as if it were clay. 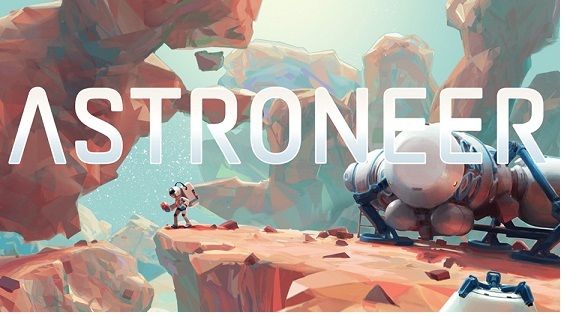 Astroneer doesn’t come with any special system requirements. A very normal medium-sized PC is definitely able to play the game. By the way, Astroneer also provides a gamepad support so you can connect a controller to play. The DirectX version should be version 11 , both for minimum and recommended system requirements. In terms of sound card you are completely free, it can be any arbitrary. The main thing is, you have one, so you will not miss the charming sound.